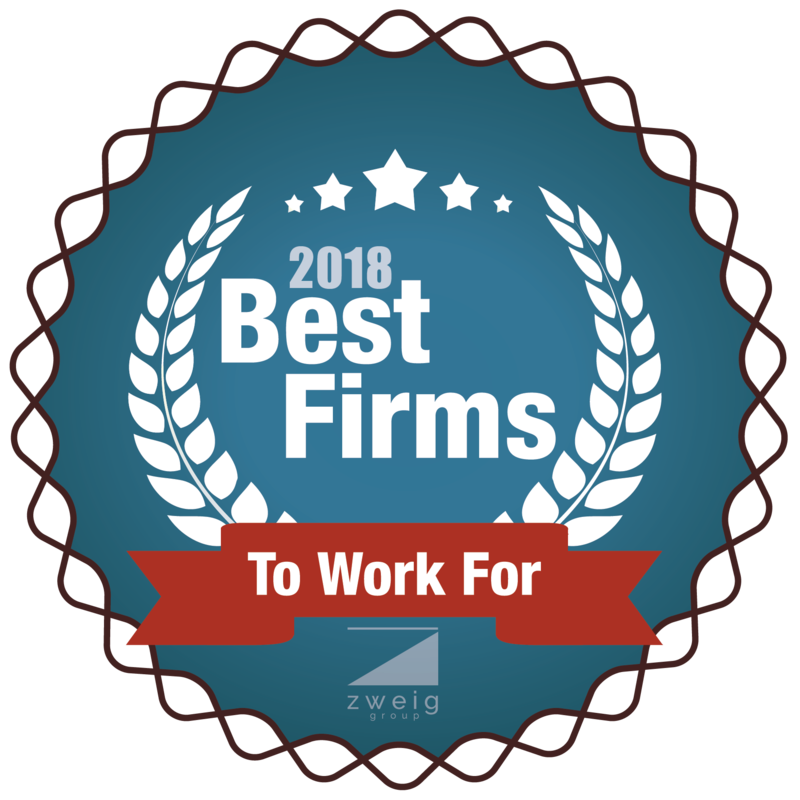 CWE is honored to be recognized with the 2018 Zweig Group Best Firms to Work For Award, a prestigious ranking honoring the creation of outstanding workplaces at architecture, civil engineering, environmental, multi-discipline, surveying, and structural engineering firms. Awarded firms have been recognized for their ability to inspire their teams to perform at the highest levels and create an environment where their people feel valued, can make a difference, and can clearly see their contribution to the overall mission and success of the firm. The winners will be celebrated at the Hot Firm and A/E Industry Awards Conference held at the Fairmont Hotel in Dallas, Texas on September 20-21, 2018. The complete list of winners can be accessed here.